When should you winterize your water softener? If you live in a colder climate such as Tiffin and Fremont Area, or have a home in a warmer climate you venture to over the holidays and through the winter, you may take steps to protect your pipes from freezing. So why wouldn’t you protect your water conditioning equipment as well? Because of the salt saturation, your brine tank is likely to only freeze in cold climates. If your softener is going to be housed in temperatures below -5°F, consider emptying the tank. This mitigates your chances of the salt tank being damaged or broken. Year-round usage of a water softener might require you to simply keep it warm. Consider adding a space heater to your garage or basement area, or use plumbing insulation sheets or blankets. If you have other water treatment equipment such as a chlorinator, UV-light, whole home water filter, water pump, pressure tank or expansion tank, they should be insulated properly or drained completely. 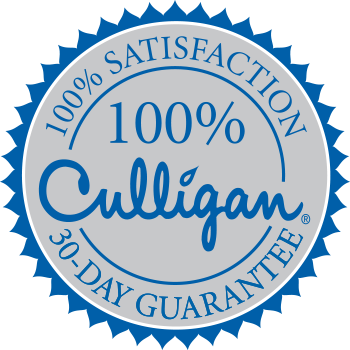 There is no need to turn off your Culligan water softener, as it monitors usage and hardness and should not be running through a regeneration cycle if nobody is using the water. If you own another brand of water softener that is using a time-regeneration cycle, that might be another story. Call your local Culligan of Tiffin and Fremont if you have questions about when or how you should winterize your water softener or other treatment equipment.